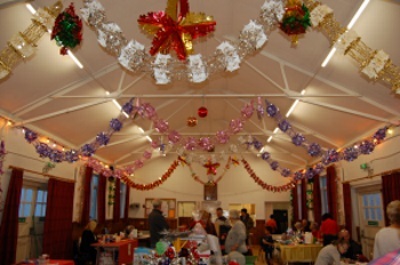 The annual Christmas bazaar was held at the Village Hall on Saturday 1st December. 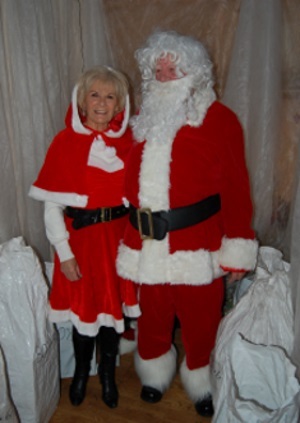 Santa and Mrs Claus spent a very busy time giving gifts to a large number of children. 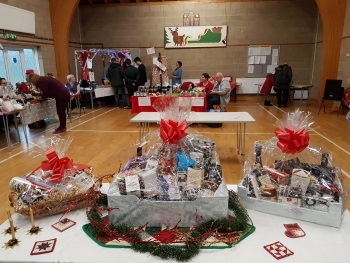 The Horticultural Society's raffle prizes consisted of three wonderful Christmas hampers. 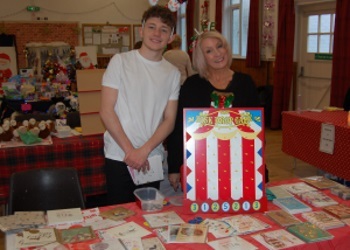 There were plenty of fun stalls for the children and stalls of interest for the Mums and Dads. 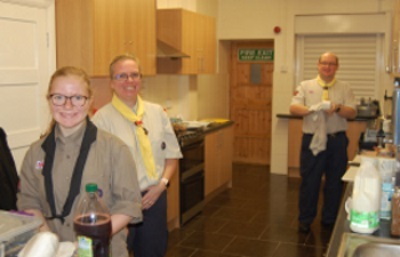 Refreshments were available and delicious mulled wine and mince pies for those who fancied something more festive. 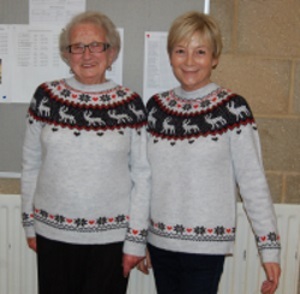 Isabel and Pauline showed their good taste with matching jumpers.